Benefits Of Human Resource Management, Importance of a Hr in every company, HR Benefits, Human Resource Management (HRM) is the function within an organization that focuses on recruitment of, management of, and providing direction for the people who work in the organization. Human Resource Management (HRM) is the function within an organization that focuses on recruitment of, management of, and providing direction for the people who work in the organization. 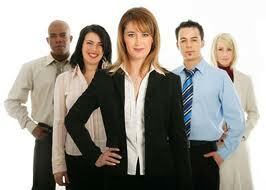 Human Resource Management can also be performed by line managers. From the smallest business to the largest company it is essential for the companys human resource department to be able to monitor personnel files on daily basis so that individual performance levels can be measured, holiday dates scheduled, pensions kept up to date, the amount of sick leave balanced and salaries checked. An additional, very important aspect of resource management is concerned with staff morale. An employee who is unhappy or unmotivated is unlikely to perform tasks well. If the employee feels that the company cares about him he will in turn care about the company and strive for its success. Employees should always feel able to talk to HR manager about any problems they may have and feel secure that the conversation will remain confidential. A good HR manager should also be able to find solutions where possible or offer constructive advice to an employee with difficulties whilst remaining unbiased. As technology has progressed more companies are using software packages specifically developed for use in Management. Such packages allow creation and editing of individual employee records, database functions and report analysis so that the manager has access to all relevant information, collectively and individually, at the touch of a button. By relieving the administration workload, there is more time for one on one conversation with employees and personal contact with all departments and managers, facilitating a full understanding by all concerned of the working environment, moral and conditions within the company. HR Management is the key to a happy workforce, identifying the individual ambitions and strengths of employees and encouraging them to make a worthwhile contribution to the success of the company. Sitting behind a desk buried in administrative paperwork is not time well spent in a Human Resource department. The more time a HR Manager can devote to face to face communication, identifying training needs, problems with employee morale and co-coordinating communication between the relevant departments, the better the company will run. Resource Management improves performance, productivity and communication across the board and its role in the success of business cannot be underestimated. This management has almost replaced the older personnel departments incorporating recruitment, selection, disciplinary action, bonus and reward incentives, training and liaison services among its many other roles. The Human Resource Manager is versatile, professional and unbiased with excellent communication skills making him or her one of the most valuable assets on the company payroll.